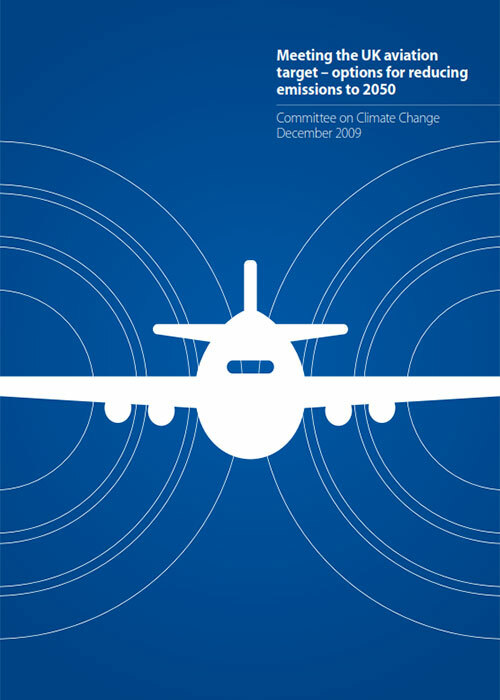 In January 2009 the Government adopted a target to reduce UK aviation emissions back to 2005 levels in 2050 alongside its decision to support expansion of Heathrow airport. Together with deep cuts in other sectors, this would achieve the UK’s legislated economy-wide greenhouse gas (GHG) target to reduce emissions by 80% in 2050 relative to 1990 without the need to rely on purchase of credits in the global carbon market. The Committee was requested by the Government “to assess scope for [emissions] reductions, including from improvements in technology and the effect of appropriate policy levers; and the implications of further aviation expansion beyond 2020”. The Government published a response to this report on 25 August 2011. The data set which was used to produce the exhibits published in “Meeting the UK Aviation target – options for reducing emissions to 2050” are available to download and view by chapter below. The CCC commissioned research from a number of consultants to inform its advice on meeting the UK Aviation target. Consultant’s reports are listed below according to the chapter that they support and can be accessed and downloaded by clicking on the relevant link.